In its various forms, the Astrotourbillon is emblematic of Cartier’s multifaceted approach to haute horlogerie. 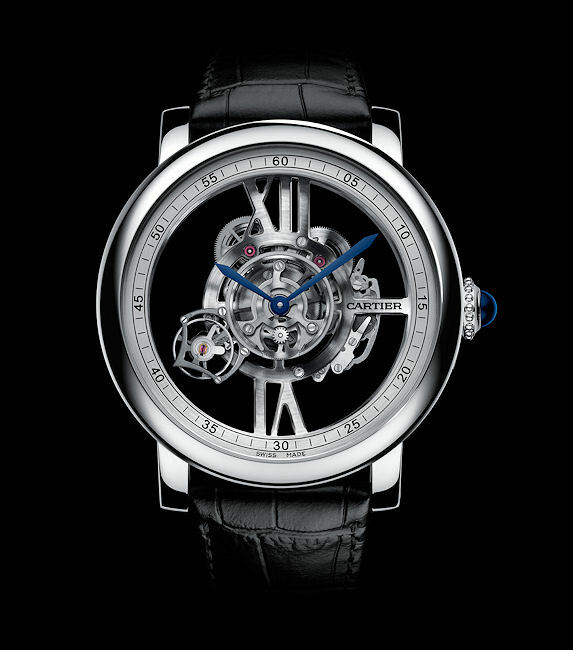 Launched in 2010 after five years of research and development, the groundbreaking movement design freed the tourbillion from its static role compensating for the effects of gravity and allowed it to circle the dial in an elongated carriage with an arrow-shaped balance bridge indicating the seconds. The original Rotonde de Cartier Astrotourbillon was the buzz of the SIHH, and it immediately claimed a preeminent place in Cartier’s constellation of original complications. In 2012, Cartier endowed the Astrotourbillon Carbon Crystal with materials and technology developed for the ID One and ID Two concept watches. 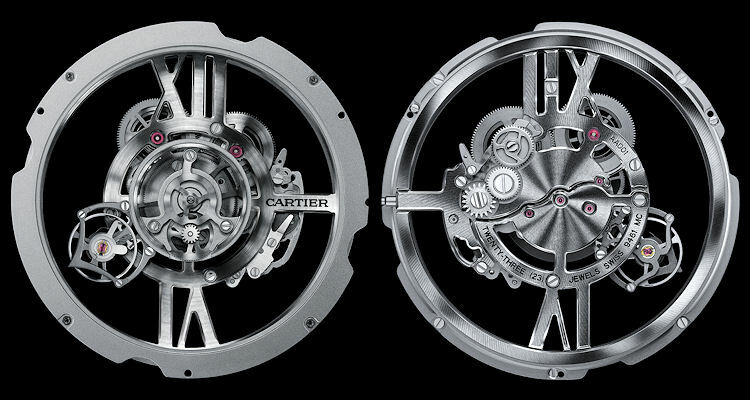 Cartier fashioned the tourbillon bridge, escape wheel and pallet fork from artificial diamond, aka carbon crystal. 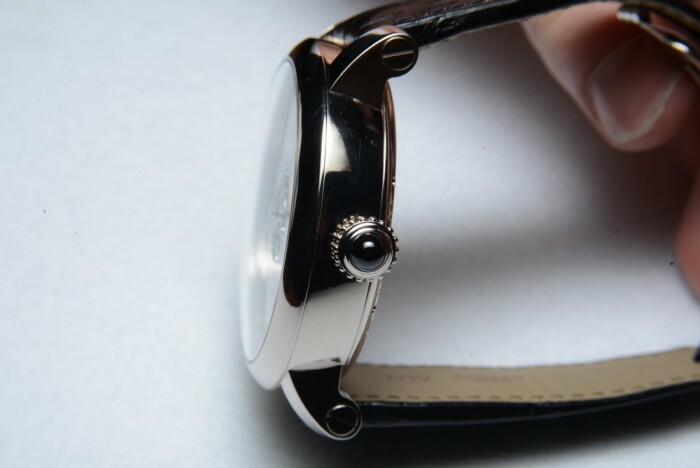 Because the material is more than four times harder than sapphire crystal, it has an extremely low coefficient of friction, meaning the escapement required no lubrication, and the bridge required no jewel. The Astrotourbillon Carbon Crystal marked a historic step on a path toward timepieces with mechanical movements largely fashioned from space-age materials. 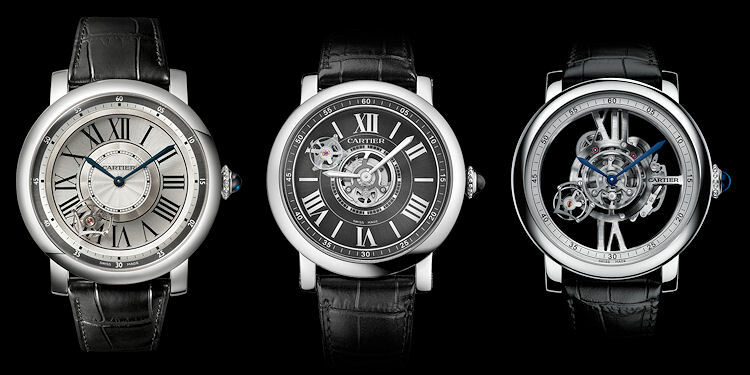 The original Astrotourbillon (left), Carbon Crystal (center), and the new Skeleton (right). 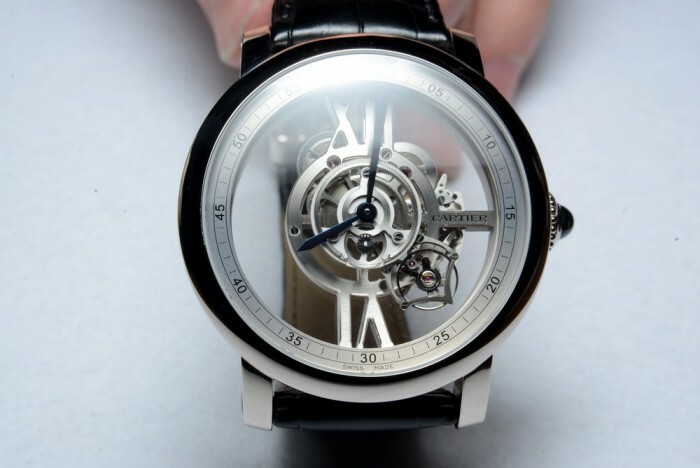 This year at SIHH, Cartier presented the Astrotourbillon as an architectural sculpture for the wrist. 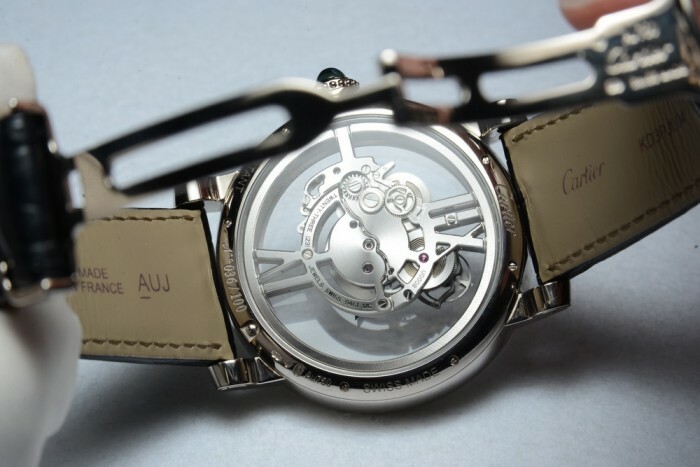 With signature Cartier style, the movement is reduced to a pure embodiment of artistic structure. 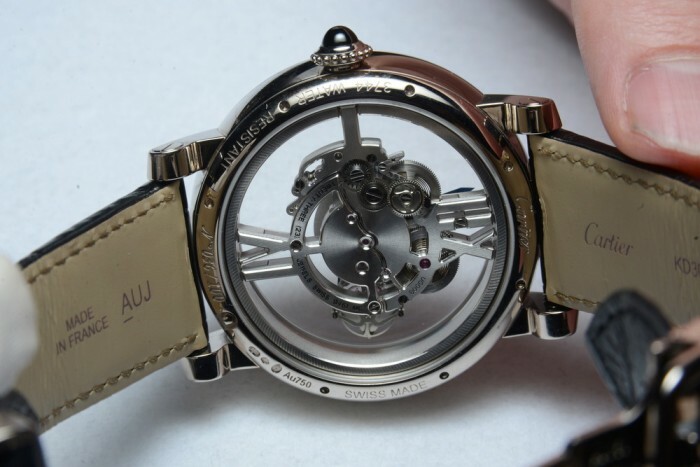 This piece represents the essence of creative horology in both the technical and the aesthetic sense. 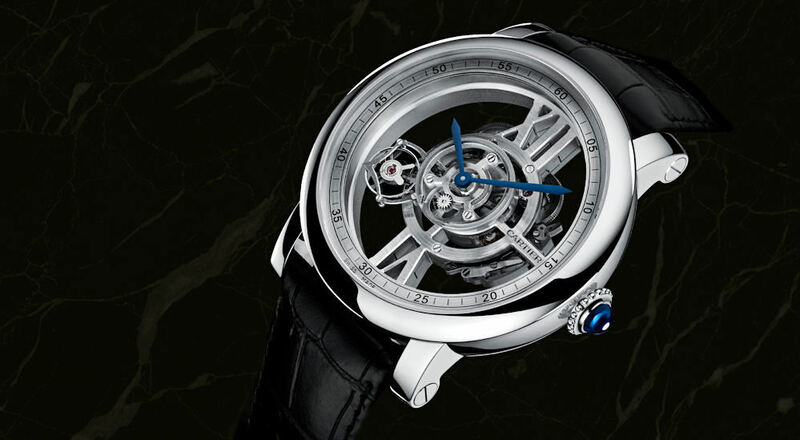 The movement floats, suspended between the XII and the VI, while the tourbillion cage is elongated, enlarging the amplitude of its trajectory. Freed from the backdrop of the dial, the tourbillion evokes a celestial body arcing its way through space. The movement takes a form that is at once powerful and graceful. 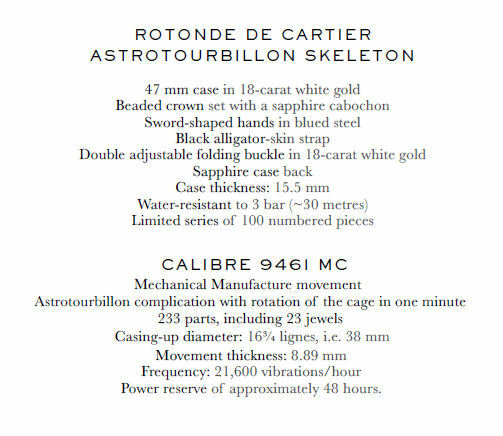 The Rotonde de Cartier Astrotourbillon Skeleton will be produced in a limited series of 100 numbered pieces. Complete technical specifications appear below.